Dan Hurdle brings extensive experience in general management, implementing strategies to drive sales growth, and elevating customer experiences. Prior to joining Safety Services Company, he was a senior executive in multiple service industries, including foodservice, healthcare, education, and financial services. He began his business career at Starbucks, where he focused on rapid performance improvements and accelerated growth. Previously, he served clients at McKinsey and Company, where his engagements included software companies, startups, and operational performance improvements. He holds a BS in Systems Engineering from the United States Naval Academy. Upon graduation, he was selected as a Marshall Scholar and attended the University of Cambridge, England where he received a MSc in Management Studies. He was placed on an accelerated promotion track in the US Navy, and served as a nuclear submarine officer before beginning his career in the private sector. 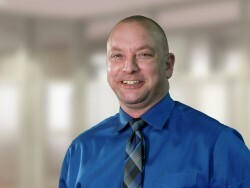 Ben brings extensive experience in financial and reimbursement advisory services to our management team. Having previously worked with Safety Services Company as a consultant, he has overseen our efforts to streamline our financial processes and automate our metrics managements. Ben is a Certified Public Accountant (CPA), earned a degree in Accounting from the University of Southern Mississippi, and brings more than 15 years of financial and accounting experience to Safety Services Company. Brian's wealth of knowledge and many years of valuable experience give him the solid basis for big picture oversight of the safety products and services division that includes safety manuals, labor law and industry posters, training and certification kits, and safety meetings. From sales to production, collections to customer satisfaction, and everything in between, Brian analyzes metrics, assesses processes, recommends best practices, and implements sales strategies — all with the goal of ensuring we exceed our customers' expectations. His solid work ethic and practical, solution-oriented methods stem from his prior roles as a crew leader with YPG, a military proving/testing facility; and as a member of the military, serving in the United States Marine Corps. Brian is a graduate of Arizona Western College, and has also completed classwork at Arizona State University. If you'd like to sign-up for our monthly e-mail newsletter, please check this box. You can unsubscribe at any time. Copyright © 2018 Safety Services Company. All Rights Reserved. Safety Services Company is an independently-owned company. Safety Services Company is in no way endorsed, sponsored, approved by, or otherwise affiliated with ISNetworld®. *ISN®, ISNetworld®, and RAVS® are registered trademarks of ©ISN Software Corporation. We don't spam and your email is confidential.